There are 36 players remaining in Event #5, which means they are all in the money. They are currently playing Level 20 (4,000/8,000 blinds with a 1,000 ante). The remaining players will play though Level 22 before bagging and tagging for the night. Day 2 will resume tomorrow at noon EST. 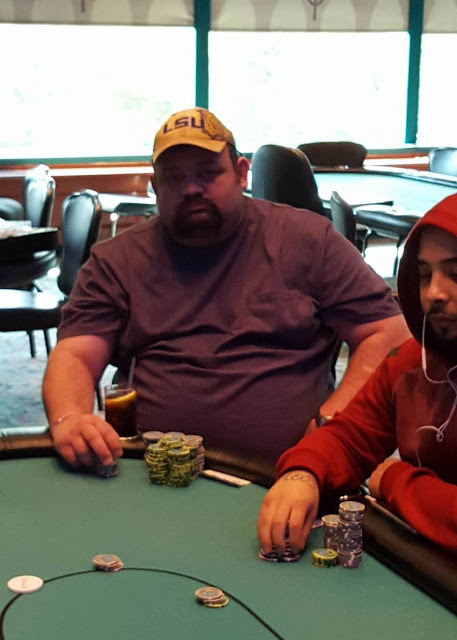 Peter Sennon and Carlo Sciannameo have come to a chop deal in Event #1. Carlo Sciannameo will take home $79,175 for second place, and Peter Sennon will take home $89,175 and the trophy. 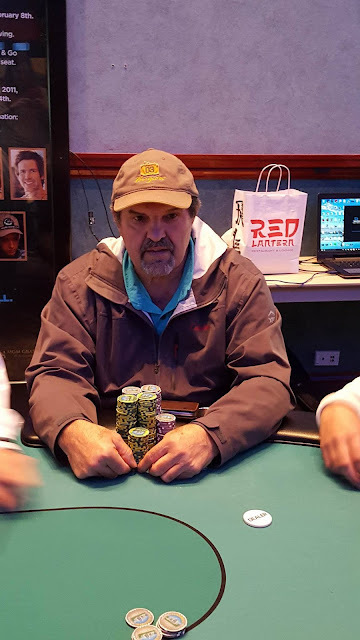 Jeffrey Yanchek shoves all in from the small blind, and Peter Sennon calls in the big blind. 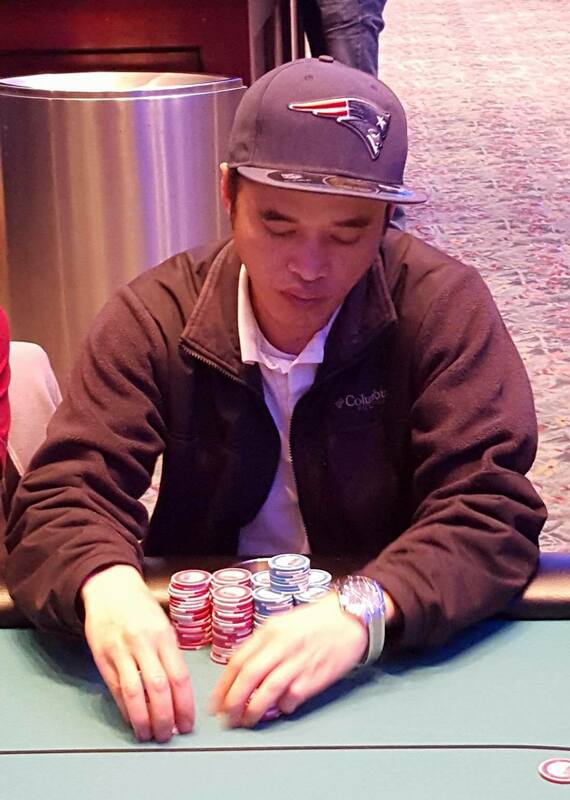 The board runs out [ac][ks][2d][kc][3s], eliminating Yanchek in 3rd place, with a $46,726 payday. Jeffrey Yanchek smooth calls in the small blind, and Peter Sennon raises to 550,000 in the big blind. 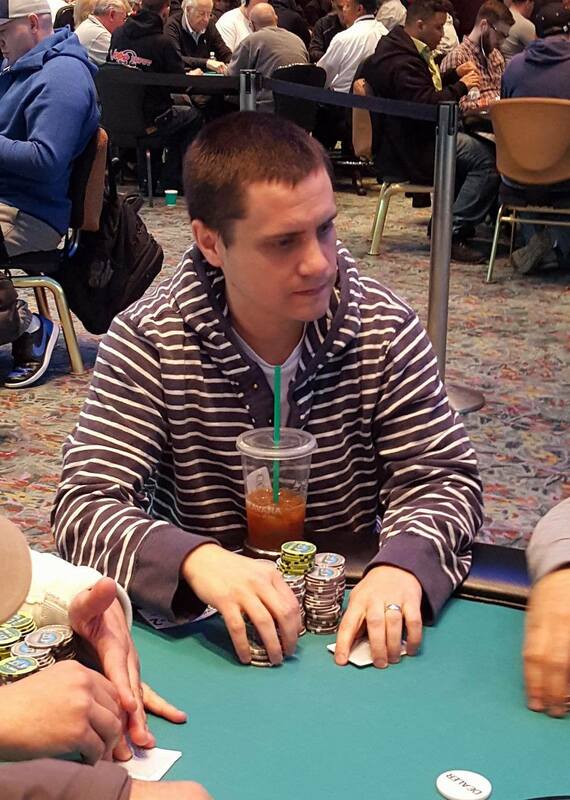 With action back on Yanchek, he quickly announces that he is all in for 2,100,000. Sennon thinks for a moment before throwing in a chip to call. The board runs out [6s][ah][4d][jh][6d], awarding Yanchek a full double. On a board reading [10h][9c][8d], Mark Bulbulian is all in and has been called by Peter Sennon. 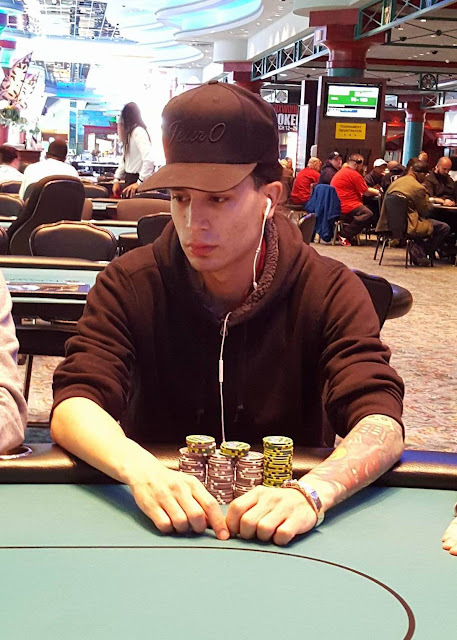 The [ks] turn and [10s] river do not improve Bulbulian's hand, and he is eliminated in 4th place, with a $32,622 payday. Carlo Sciannameo calls in the small blind, and Jeffrey Yanchek checks his option in the big. Sciannameo checks the [4d][kh][8h] flop, Yanchek bets 375,000, Sciannameo raises to 1,500,000, Yanchek shoves all in, and Sciannameo calls. The [2s] comes on the turn, giving Yanchek more outs, and the [2h] on the river is one of those needed outs. Yanchek wins with his flush. The remaining 126 players in Event #5 are now on their 60 minute dinner break. They will return to play level 13, with 800/1,600 blinds, and a 200 ante. As a reminder, the top 36 players will make the money. Full prize pool/pay out information for this event can be found here. After a pre-flop betting war between Peter Sennon in the small blind and Stefan Parchev in the big blind, Parchev finds himself all in. 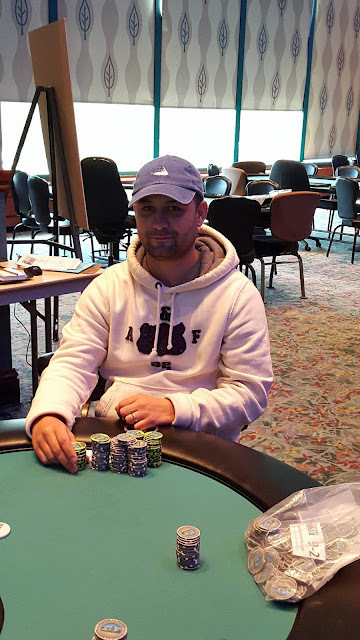 The board runs out [10c][6h][2c][5s][6s], elaiminating Parchev in 5th place, with a $22,671 payday. Rob Garrett shoves all in from the hijack. Action folds to Stefan Parchev in the big blind who asks if Garrett has him covered. It's determined they have almost equal chip stacks, with Garrett having Parchev covered by less than a single big blind (100,000). Parchev hesitantly calls. The flop comes [ac][6s][4s]. When the [5s] comes on the turn, Garrett picks up an open ended straight draw. But the [6c] on the river ensures that Parchev will win the pot and Garrett is left with less than 100,000 in chips. 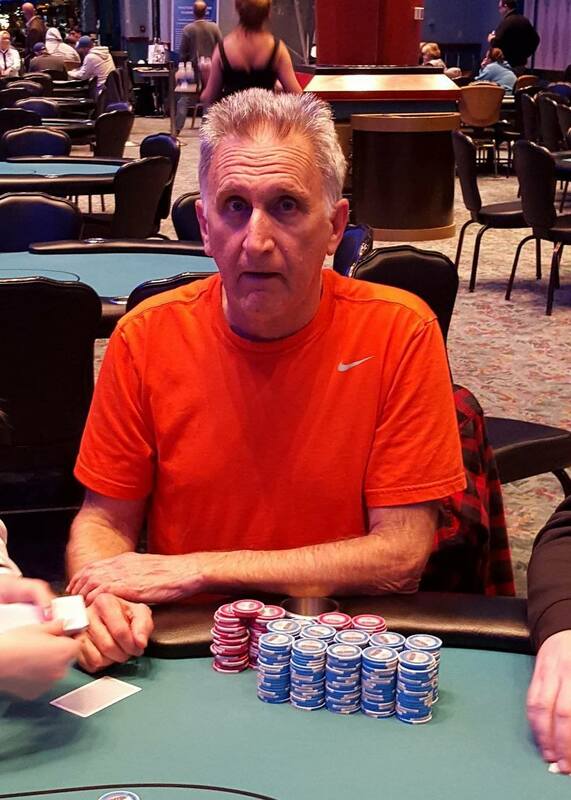 Having only 60,000, Rob Garrett is all in for less in the big blind. Carlo Sciannameo calls under the gun, as does Jeffrey Yanchek in the hijack, Peter Sennon in the cutoff, and Mark Bulbulian in the small blind. All the players check it down as the board runs out [ah][7c][2d][2s][jh]. Bulbulian turns over [kd][jc] for a pair of jacks, and Sciannameo folds, as do Yanchek, and Sennon. Garrett slowly turns over the [3s], having looked for the first time. Then he slowly turns over [7h]. Bulbulian's jacks will take it all, and Garrett is eliminated in 6th place, taking home $17,948. Jeffrey Yanchek raises to 230,000 in the hijack, and Stefan Parchev calls on the button. 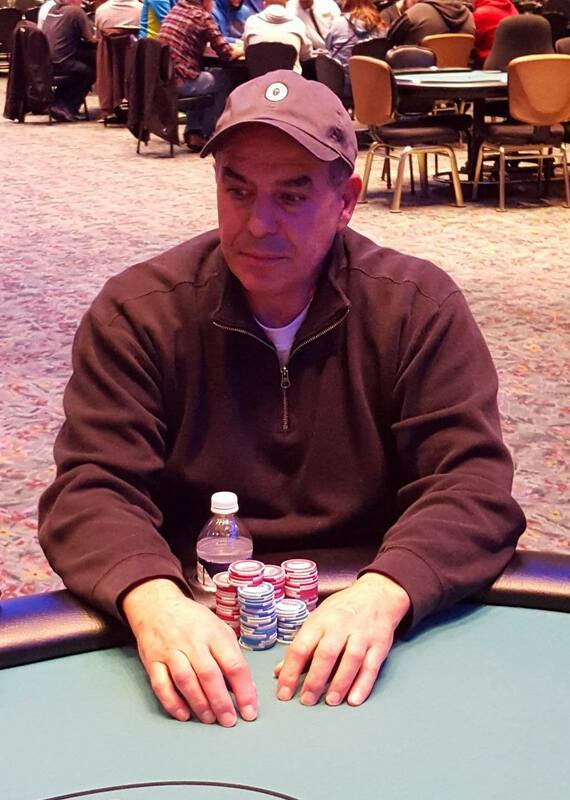 Mark Bulbulian shoves all in for 1,050,000 from the small blind. Yanchek quickly folds, and Parhev thinks for a moment before releasing his hand. There were a total of 320 entries in today's $300 NLH event. There are currently 144 players remaining in Event #5, and 36 of them will make the money. They are currently playing level 11, with 500/1,000 blinds, and 100 ante. 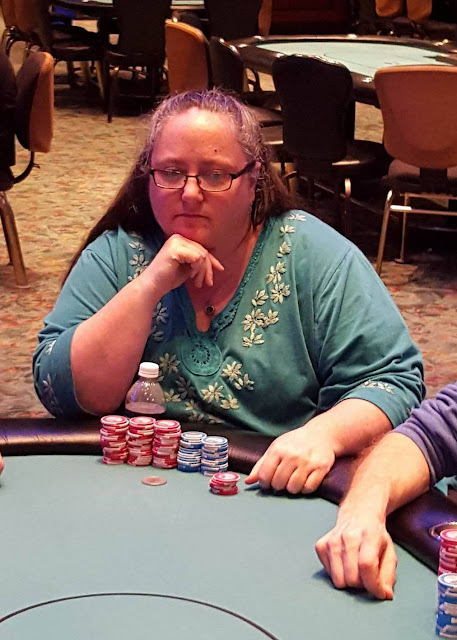 Action folds to Jovy Ounthongdy on the button who shoves all in for 740,000. Carlo Sciannameo thinks for a moment before calling the 740,000. Jeffrey Yanchek looks at his cards and says, "Not even close," as he folds. 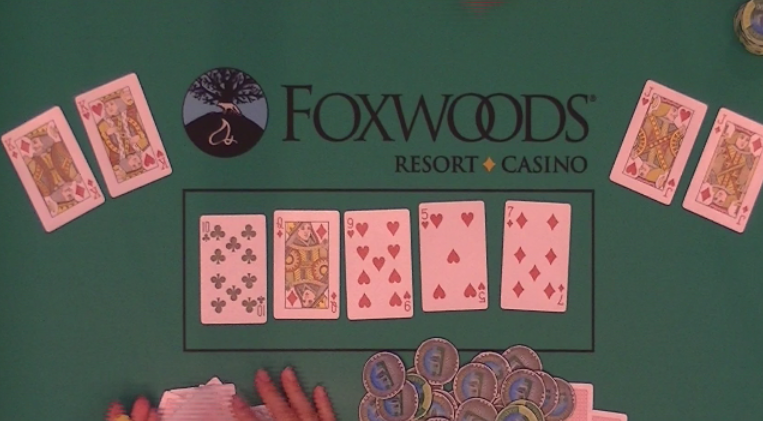 The flop comes [4c][9c][4s], giving Ounthongdy the lead with his two pair, but giving Sciannameo a flush draw. The [5s] turn is safe for Ounthongdy, but the [6c] river gives Sciannameo the flush, and Ounthongdy is eliminated in 7th place, taking home $14,988. On a board reading [9c][7s][4s], Jon Reinhardt shoves all in, and Carlo Sciannameo calls. The [6s] turn and [ah] river do not improve Reinhardt's hand and he is eliminated in 8th place, taking home $12,154. Jeremy Perez shoves all in on the button, and Rob Garrett calls in the small blind. 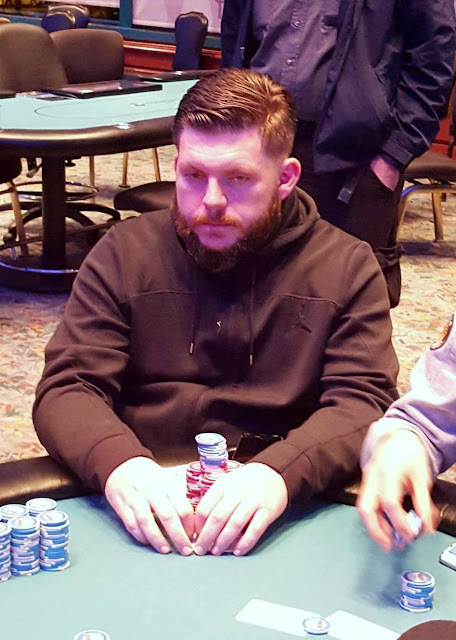 Jon Reinhardt mucks [jd][kd] face up in the big blind. The flop comes [js][qd][8h], keeping Garrett in the lead with his pair of nines, but giving Perez a pair of eights. When the [8d] comes on the turn Perez asks, "Can I lose?" Just as he finished his question, the [9h] comes on the river giving Garrett a full house, and Perez is eliminated in 9th place. 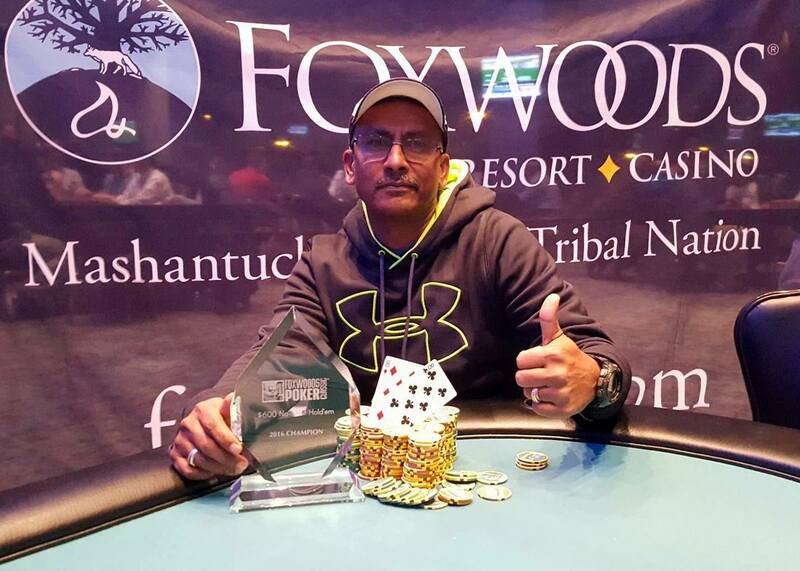 He is taking home $9,761. 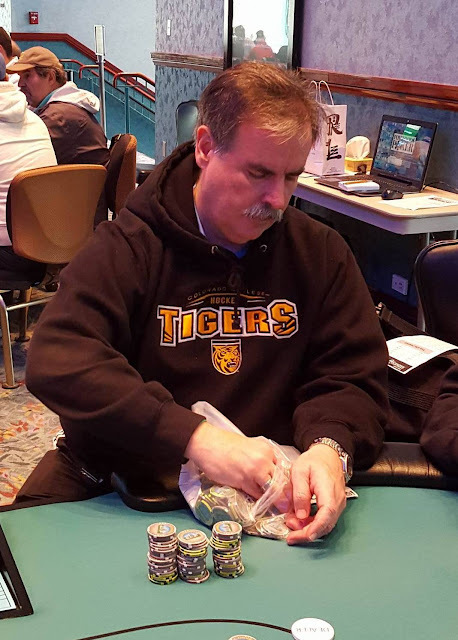 Rob Garrett shoves all in from early position, and Jon Reinhardt calls in middle position. 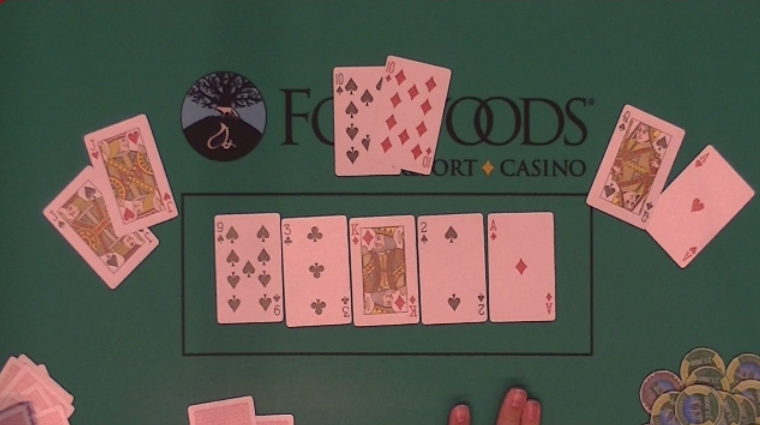 The flop comes [4c][10s][4s], and Garrett stands up from his chair. When the [9s] comes on the turn, he grabs his backpack, preparing to leave. When the [ks] comes on the river giving Garrett a flush, he puts his bag down, and sits back down. "He lives to see another day. You and your flushes," a player at the table says to Garrett. Peter Sennon raises to 225,000 in middle position, and Jeremy Perez re-raises to 575,000 on the button. Sennon calls the raise. The flop comes [jh][7d][2s]. Sennon checks, Perez bets 400,000, and Sennon calls. Both players check the [5h] turn. Sennon checks when the river comes the [4c] river, and Perez shoves all in, having Sennon slightly covered. Sennon sighs out loud, sits back in his chair, and thinks for a minute before throwing in a chip to call. Perez turns over [6c][6s] for a pair of sixes, and Sennon shows [8c][8d] for a pair of eights. "Sick, how you do you call there Bro?" Perez asks Sennon. "That's poker baby," Sennon replies as he stands up out of his chair. 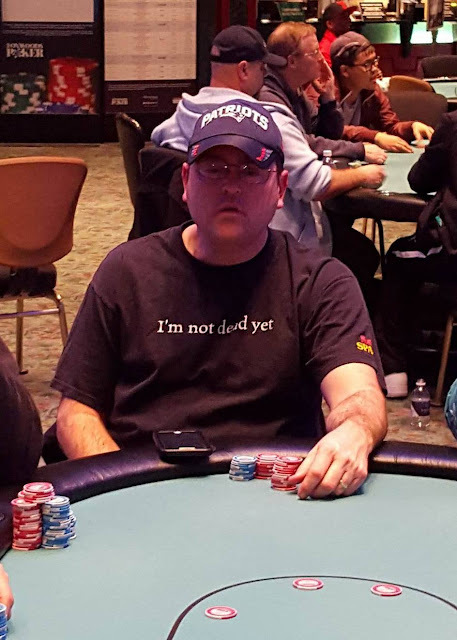 Rob Garrett is all in and has been called by Jeffrey Yanchek. 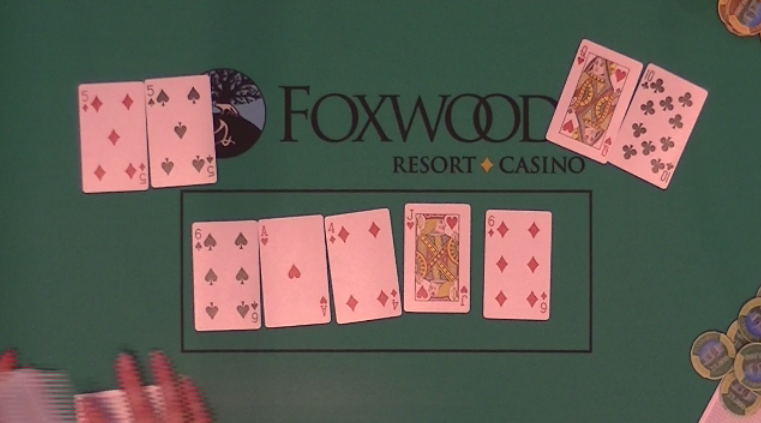 The flop comes [10c][qd][9h], leaving Garratt in the lead, but giving Yancheck and open-ended straight draw. 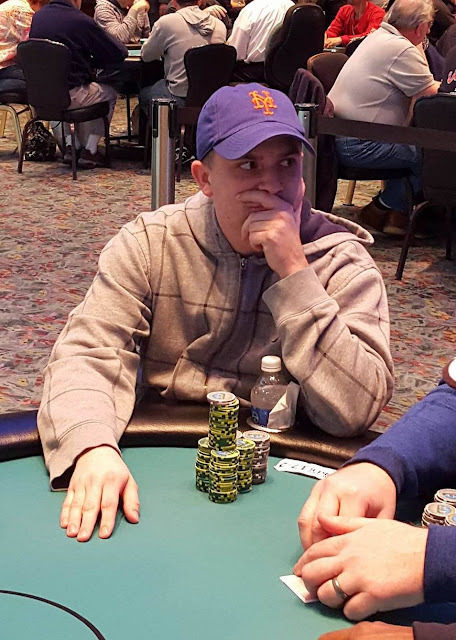 The [5h] turn and [7d] river are safe for Garrett and he is awarded a full double up. Stefan Parchev raises to 175,000 in early position, and Jeremy Perez calls in middle position. Next to act is Mike Crowne who shoves all in for around 400,000. With action back on Parchev, he shoves all in, having Perez covered. Perez tanks for a minute before mucking his [10s][10h] face up. 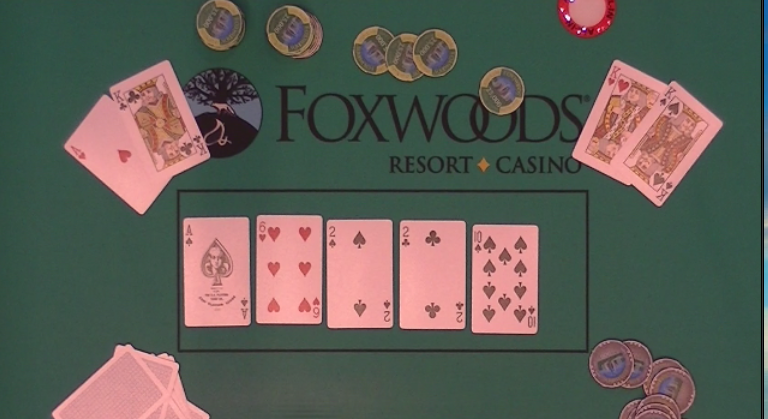 The flop comes [8s][10c][kh], giving Parchev a set of king. Perez leans over and thanks Crowne for shoving, because he would have also flopped a set of tens and would be out of the tournament. "I would be out, wow," Perez says leaning back in his chair and running his hands through his hair. 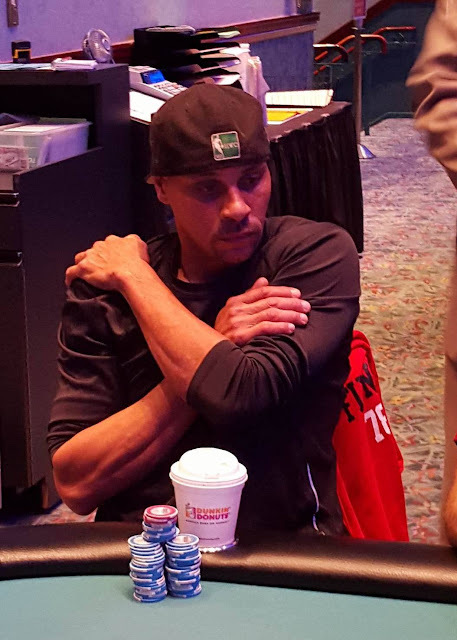 The [3h] turn and [5h] river do not improve Crowne's hand and he is eliminated in 10th place, taking home $7,872. 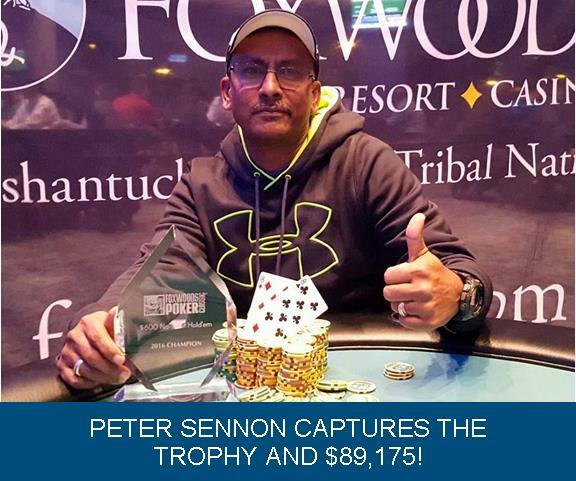 Peter Sennon opens to 160,000 in middle position, and Stefan Parchev calls the 160,000, also in middle position. 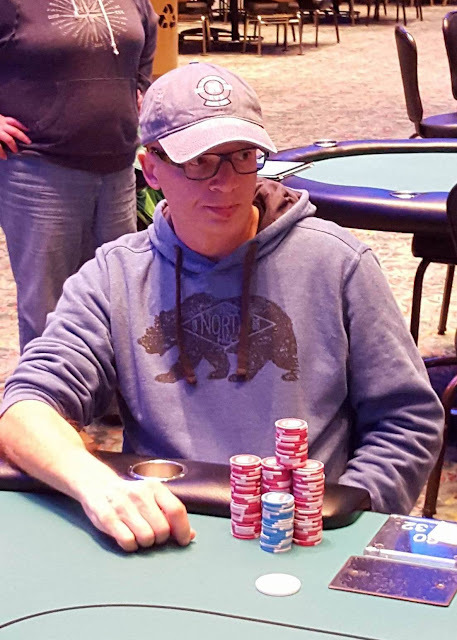 Sennon leads for 225,000 when the flop comes [kh][6s][4s], and Parchev calls. Both players check the [5d] turn. 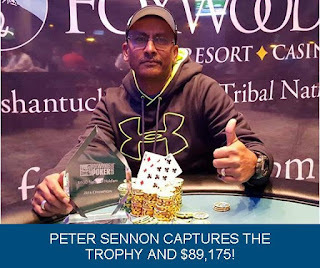 Sennon checks the [6d] river, and Parchev bets 275,000. Sennon thinks for over a minute before releasing his cards. 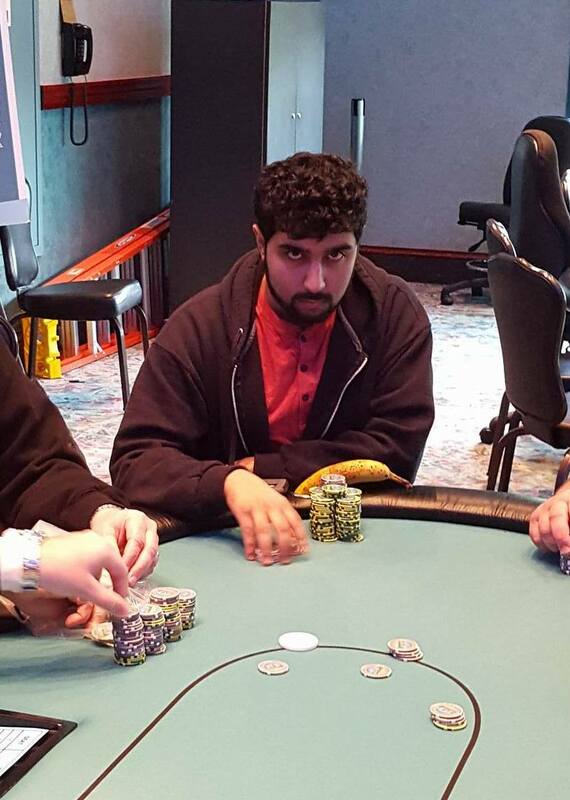 Jovy Ounthongdy shoves all in from the hijack, and Stefan Parchev calls in the big blind. The board runs out [ad][6h][6c][2d][7c], granting Ounthongdy a full double. 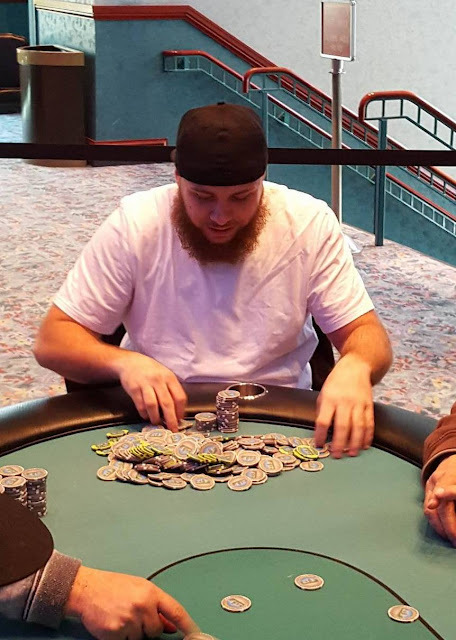 Jon Reinhardt raises to 125,000 in the cutoff, and Jeffrey Yanchek calls in the big blind. 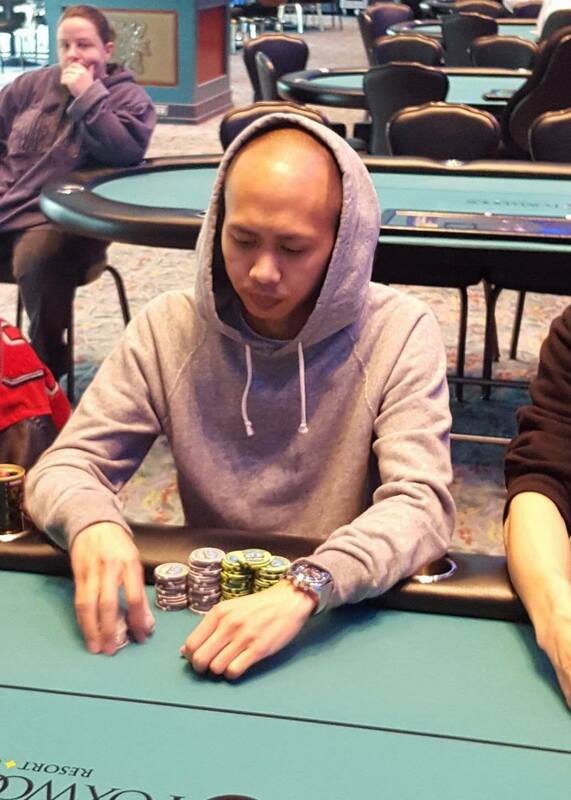 Yanchek checks the [as][9c][3c] flop, and Reinhard continues for 125,000. Yanchek calls. When the turn comes the [10s], Yanchek checks a second time, and Reinhardt bets 200,000. Yanchek calls. When the river comes the [4d], Yanchek checks a third time, and Reinhardt bets 125,000. Yanchek releases his hand. 11 Players remain, and we are currently on the final table bubble. Avg. chip stack is 2,227,272. 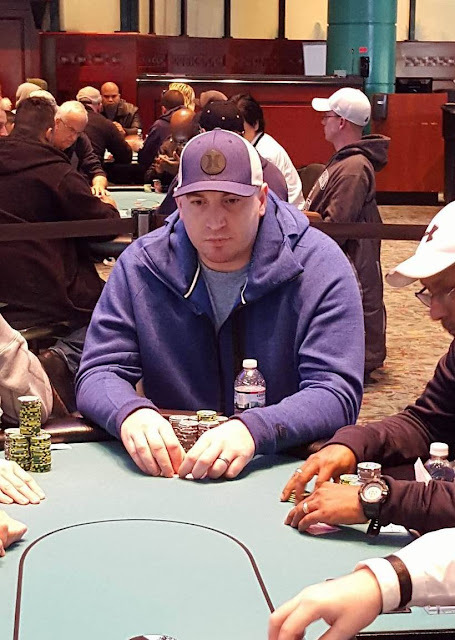 LJ Sande is all in holding [ah][8d] against Mark Bulbulian's [5c][5d] on a [10h][5h][4d] flop. 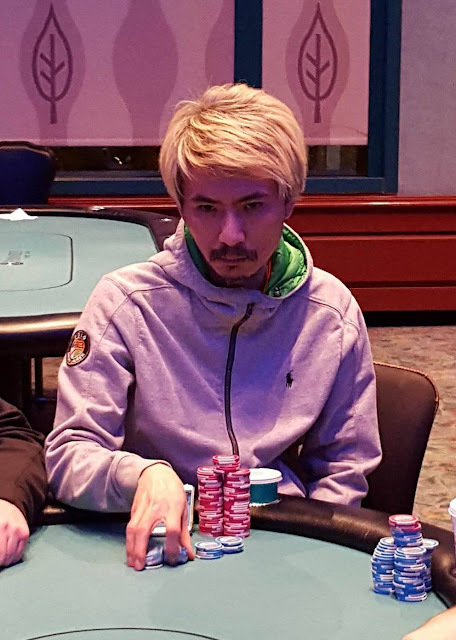 Unfortunately for Sande, the [3s] turn, and [as] river do not improve his hand, and he is eliminated in 12th place, taking home $7,872. The final 12 players are now on their first 15 minute break of the day. They will return to play 30,000/60,000 blinds with a 10,000 ante. The avg. chip stack is currently 2,041,666. Jon Reinhardt raises to 150,000, and Welther Marmol shoves all in. Reinhardt calls the all in. The flop comes [qs][6s][3c], keeping Reinhardt in the lead. The [10d] on the turn furthers that lead, but it gives Marmol a flush draw. The [ad] comes on the river, and Marmol is eliminated in 13th place, taking home $6,045. 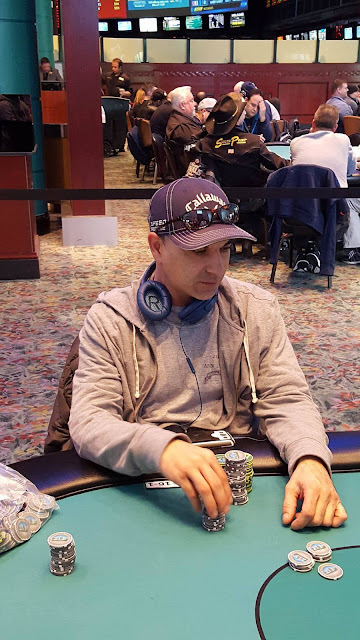 Carlo Sciannameo raises to 110,000 on the button, and Dave Stefanski calls in the small blind. 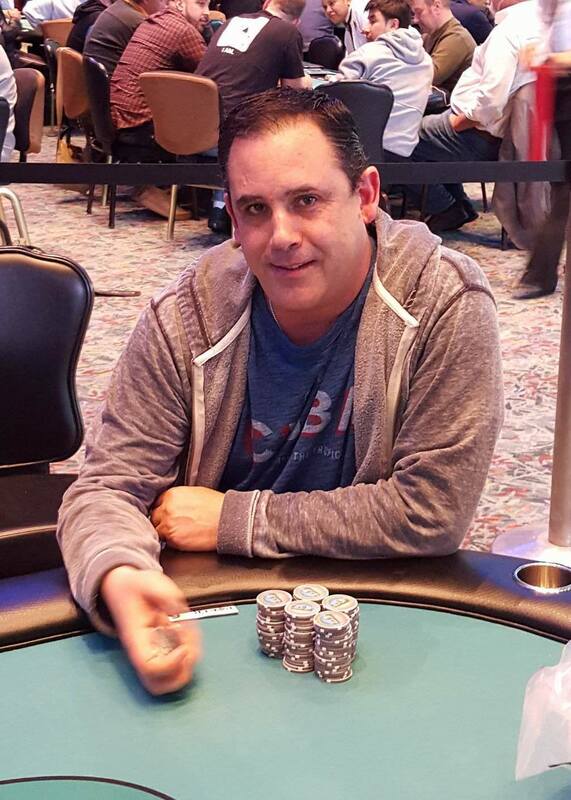 Mark Bulbulian shoves all in from the big blind for 575,000. Sciannameo raises to 1,275,000. With action back on Stefanski he pauses to think for a few moments before announcing that he is all in. 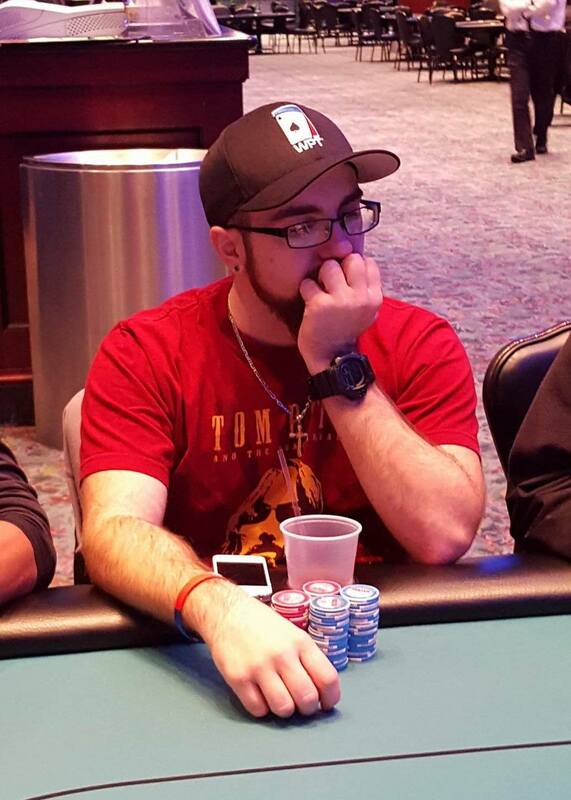 Sciannameo looks at his cards, shrugs his shoulders, counts his chips, and slowly calls Stefanski's all-in. The flop comes [kd][9s][3c], and the turn the [2s]. It's the [ad] on the river that ensures Bulbulian a full triple up. 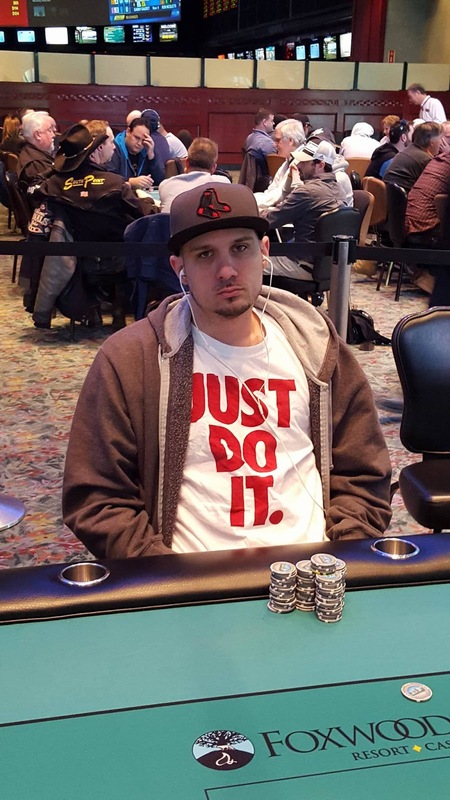 Stefanski is eliminated in 14th place taking home $6,045, and Sciannameo takes the side pot. On a board reading [8c][6d][3h], LJ Sande checks in middle position, and Carlo Sciannameo bets 125,000. Sande calls, leaving himself 500,000 behind. When the [qh] comes on the turn, Sande checks, and Sciannameo checks behind. Sande again checks the [jd] river, and Scaiannameo checks while saying, "You hit it huh?" Sande turns over [6c][6s] for a set of sixes to take the pot, and Sciannameo mucks his hand. Bobby Corcione opens from under the gun, and Dave Stefanski shoves all from the small blind. Corcione quickly calls. The flop comes [as][6h][2s], giving Stefanski the higher pair. 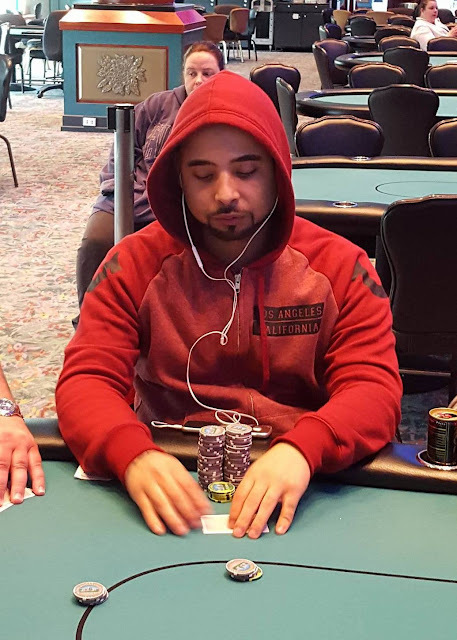 The [2c] turn and [10s] river do not improve Corcione's hand, and he is eliminated in 15th place, taking home $6,045. 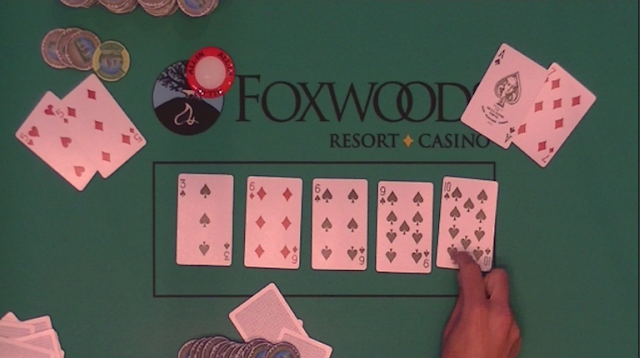 Action folds to Rob Garrett in the cutoff who shoves all in. Jon Reinhardt calls in the small blind. 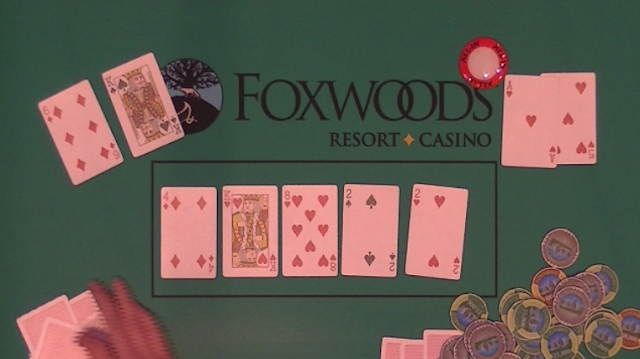 The board runs out [7h][4h][4d][6h][qh], giving Garrett the flush, and awarding him a full double. LJ Sande raises to 80,000 from under the gun. Mark Bulbulian calls on the button, and Bobby Corcione calls in the small blind. With action on Eric Siegel in the big blind he says, "Alright boys, go back to your cages," as he moves all of his 510,000 chips forward. (Siegel's quote was in reference to a movie quote Carlo Sciannameo was talking about the previous hand). Sande calls the 510,000, and with action back on Bulbulian, he announces that he is also all in, having Sande covered. Corcione quickly folds, and Sande goes into the tank. Over three minutes pass before Sandee reluctantly releases his hand. Bulbulian turns over [ac][kd], and Siegel shows [qs][qd]. The flop falls safe for Siegel, but the king on the turn gives Bulbulian a bigger pair. Unfortunately for Siegel the river does not bring the queen he needs, and he is eliminated in 16th place, taking home $5,416. Stefan Parchev raises to 80,000 in the cutoff, and Bobby Corcione shoves all in for 440,000 in the big blind. Parchev calls. The [6d][6s][3s] flop fell safe for Parchev. The [9s] turn was also safe, but gave Corcione a lot more outs to win the pot. 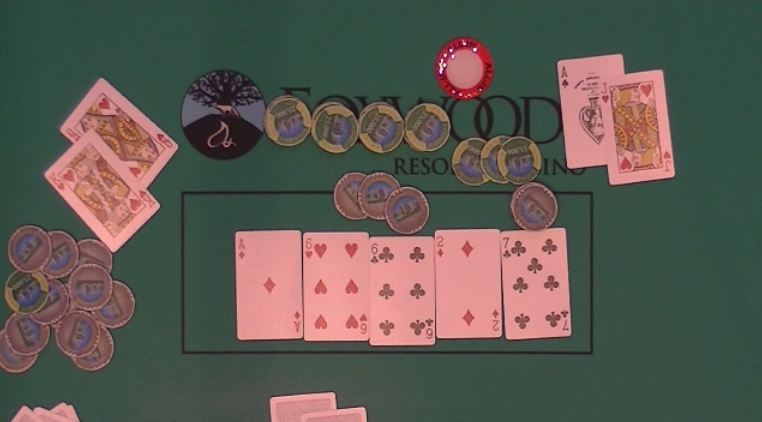 The [10s] on the river brings one of Corcione's flush outs, and he is awarded a full double up. Event #5, the $300 No Limit Hold Em w/ Re-Entries is now under way. This tournament boasts a $75,000 guarantee, 20,000 starting stack, and 30 minute levels. Players are allowed to enter/re-enter until the start of level 9. Full structure is available here. Six more hands will be dealt before bag and tag for the night in Event #1 ($600 NLH).